The International Cinematographers Guild Publicists (ICG, IATSE Local 600) will debut its new award The Henri Bollinger Award at the 56th annual International Cinematographers Guild’s Publicists Awards Luncheon on February 22 at the Beverly Hilton Hotel, it was announced by Tim Menke, chair of the ICG Publicists Awards. This award, named after the renowned award-winning entertainment industry publicist Henri Bollinger, will be presented to Bollinger posthumously as the first recipient. His wife Sandy will accept on his behalf. The ICG Publicists Awards celebrate excellence in publicity and promotion for motion pictures and television programs. The new Henri Bollinger Award will be bestowed on occasion in future years to recognize a person who epitomizes the definition of special merit in the field of entertainment. More than 900 industry leaders are expected to attend this year’s luncheon, which traditionally occurs the week leading up to the Academy Awards®. 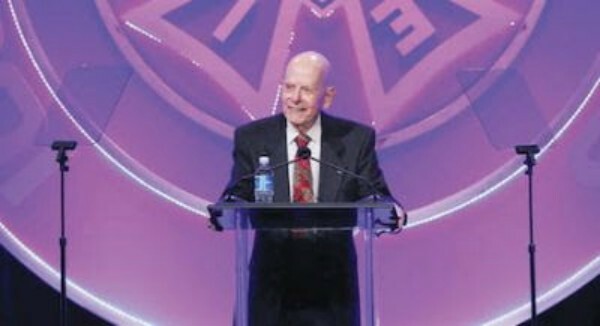 Bollinger served for over 55 years on the Publicists Awards Committee and chaired the annual awards for over 37 years. He was a publicist for 60 years and received the Les Mason Award, the highest award bestowed upon a publicist by his peers, and the Bob Yeager Award for community service. He was president and founding member of the Entertainment Publicists Professional Society (EPPS); served on the Foreign Film Committee of the Academy of Motion Picture Arts & Sciences; chaired the Communications Committee of the Hollywood Entertainment Museum; served on the Public Relations Committee of the Academy of Television Arts & Sciences; chairman of the Publications and Publicity Committee of the International Cinematographers Guild and a member of its National Executive Board; and president of the Los Angeles Chapter of the American Cancer Society. Director and actor Dennis Dugan will host this year’s awards. Dugan is one of the industry’s top feature film comedy directors, earning his reputation with hits including Happy Gilmore and Big Daddy, Grown Ups 1 & 2, Parenthood and Just Go with It. His films have grossed nearly $2 billion worldwide. He began his career as an actor in the New York theater scene before starring in his own NBC series Richie Brockelman, Private Eye, and has appeared in numerous other TV roles. As previously announced, the ICG Publicists Awards Luncheon will also honor filmmaker Jon M. Chu, known for his visually stunning blockbuster films including Crazy Rich Asians, with the Motion Picture Showman of the Year Award. Greg Berlanti, Emmy®-nominated writer, director and producer, will be named Television Showman of the Year. Legendary actress and author Jamie Lee Curtis will receive the Lifetime Achievement Award celebrating her prolific acting career spanning four decades. The ICG Publicists Directory will be dedicated to Paul Bloch, co-chairman of Rogers & Cowan, who died last year. Awards chair this year is Menke with Sheryl Main serving as co-chair.